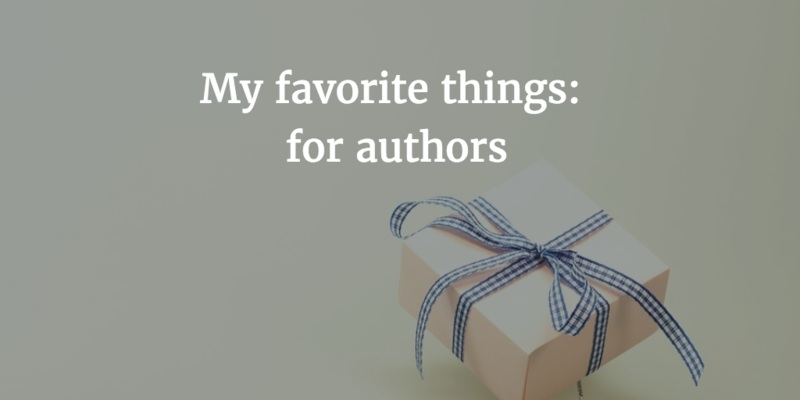 In the spirit of the holiday gift exchanges, let’s share our favorite resources for writers and authors. I’ll go first. This post includes a list of tools and apps that either make it easier to get your book out into the world (writing and publishing) or that simplify the task of creating and maintaining the online author platform so you can write. In return, you can leave your suggestions in the comments, or send them by email and I’ll update this post. Scribd is my new literary and research love. It’s an online a subscription to books, articles and audiobooks. The catalog is pretty extensive, and I love that it combines ebooks and audiobooks. My only problem is that I haven’t figured out how to get it to carry my own books. Sigh. The Right Margin is an online writing environment that helps writers break the work into multiple tasks, build goal-driven schedules, and stay motivated to get the work done. Plus, they have a great Slack community (WriterHangout). Check it out. No matter what phase of the writing I’m in, I maintain a practice of 750 words a day of freewriting. What better tool to use than 750words.com? Because it’s web-based, I can write my words from almost anywhere, so there’s no excuse for skipping the practice. Not sure about a book title, or trying to decide which cover will be more effective? PickFu makes A/B testing painless and, dare I say, fun? Well, I find it fun. You create the head-to-head matchups, define an audience, and sit back as the results pour in. You get detailed input from people you don’t know – so they’re not trying to say what they think you want to hear. And it happens so quickly, you can run a virtual tournament of book titles to come up with the final contenders. Want to create a beautiful ebook for Kindle, Nook, iBooks, Kobo, or any other ebook reader? Vellum lets you do it quickly and easily. You can write directly in the app or import a Word file, fix up the interior, choose the style you like, and export it painlessly into the right formats for countless ebook platforms. It’s a MacOS application, and charges a small fee only when you are ready to export the book for upload to other services. The price is a great deal, considering that you don’t have to spend hours formatting. Rainmaker runs my website and email list, and I’m just scratching the surface of what it can do. Using Rainmaker makes my life easier by putting everything under one umbrella. I don’t have to learn and integrate a bunch of different tools. That leaves me more time for writing! Social media can become a time sink pretty quickly. Instead of letting social media drive my life, I spent some time each week scheduling posts in advance. Buffer lets me do that easily, while collecting new posts to share as I encounter them. I upgraded to the paid version for its ability to schedule bunches of posts. I love the automated scheduling, performance analytics, and the ability to look at a calendar by weeks and months. What are your favorite tools? Share them in the comments, or send an email and I’ll update this post. Buffer saves me so much time, Bonnie – time I can spend writing! I’m a fan. Jessie – Thanks for the Wunderlist recommendation, I’ll check it out. I’m all for reduced anxiety.